It is the desire of every person to appear beautiful and gorgeous. Many of them are of the opinion that it is only the celebrity and the rich, who can afford to get that look which people generally crave for. But, what many of them are not aware is that there have emerged many centers that have been offering the very latest in skin treatments to make the person to appear beautiful and feel fresh and better. Some reputed centers like the CHHC is known to follow a holistic and ancient approach, using time tested herbal products and remedies, within a sophisticated, modern, lively atmosphere. There are varieties of services offered by this center to help enhance youthful, natural, radiant skin. A clear skin is what everyone should possess. Here, they are provided with effective treatments, by using the right, natural ingredients and the results generated are simply mind boggling. The center believes in providing internal treatment by taking care of the root cause using homeopathic medicines to help the clients to achieve fabulous, long lasting results. Mini Facial: Suitable for teens within 25 years, which includes exfoliation, pack, toning and cleansing. Age repair facial: Helps to firm and tighten the skin, due to the presence of organic and natural formulation. Products containing antioxidants as well as ingredients like sandalwood, grape seed, apricot and cocoa that are full of anti-aging properties can help diminish the aging signs and increase collagen production for helping the skin to regain elasticity. Essential oil Facial: With this, incredible changes can be brought to the skin. The potent regenerative properties present can help balance PH, normalize oil, renew dull complexions, smooth wrinkles and fine lines. Depending upon the skin constitution and type, various essential oils like sandalwood, jojoba, rosehip and lavender are used. Radiance and re-vitalizing facial: The delicate handmade facial products, enriched with aloe vera, licorice, seasonal fruits and blended with rose water, honey can pamper the skin effectively. Nail cleaning and grooming are part of the treatment, combined with oil massage application with very specific acupressure points for relaxation and alleviating stress. 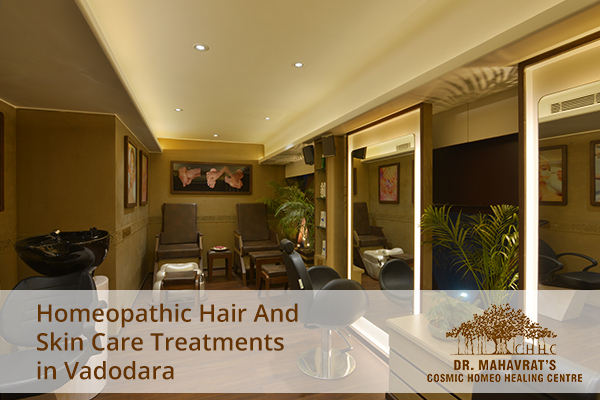 Through this treatment, it is possible to have the hair follicles strengthened, nourish roots and to revitalize the scalps, thus leading towards natural hair rebirth, which is enhanced by homeopathic and ethnic herbal remedies. Moreover, it assists in increasing cell metabolism, stimulates blood circulation and normalizes oil secretions. It is also good for rejuvenating and nourishing the tresses. Those facing hair loss or having damaged and dull hair can enjoy the benefits from this treatment. It is also useful for stopping hair fall and to regain bounce of hair, its shine and sheen. Therefore, with regular and proper skin care regime, it is possible to have a glowing, smooth, beautiful skin.